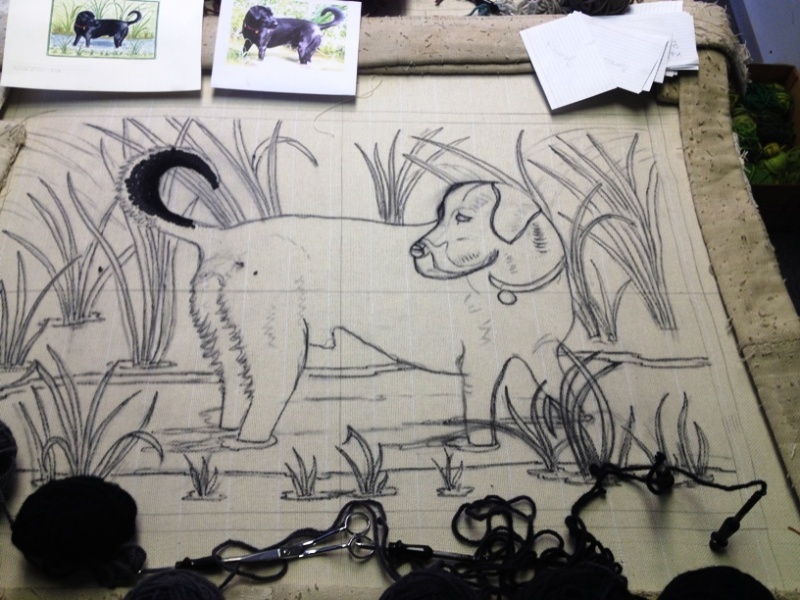 This article gives you a quick view of the process The Ruggery uses to hand hook a heirloom quality rug from a photograph of a Black Labrador. 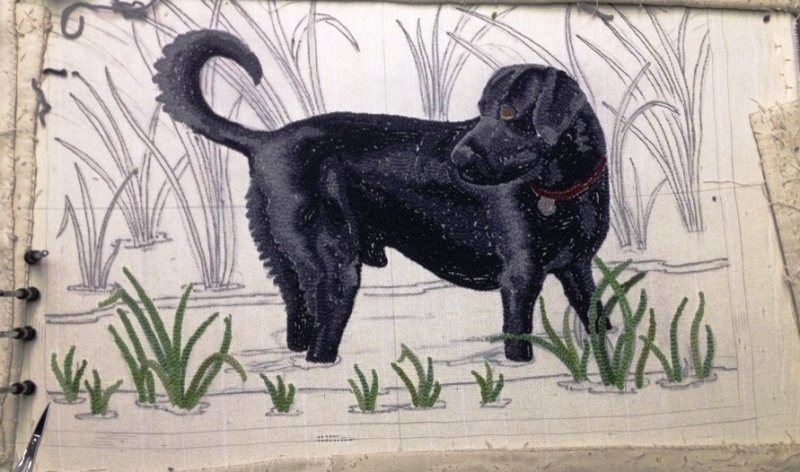 need to have depth and details to give the dog a three dimensional quality. but we acknowledge the dog is all black. 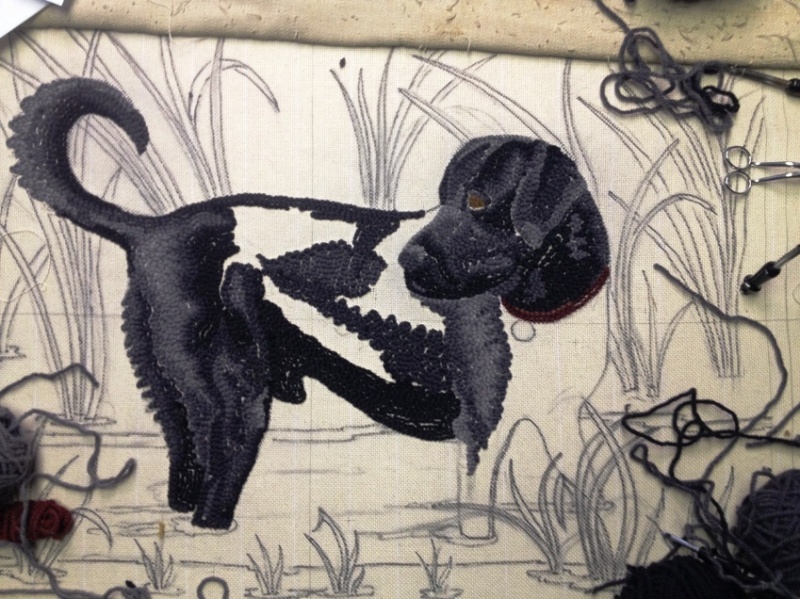 Artisans at The Ruggery have to use there creative eye to bring the dog to life with the use of color and shades. We start with a photograph of the Lab. A water color sketch is then draw by hand to show the client our interpretation of the finished rug. This also give us a guide line for how and where the colors should be hooked giving the desired effect. We then draw a pattern of the rug on cotton monks cloth that we can hook through. The pattern is stretched tightly on a frame and the hooking begins. We work from the back of the rug so the pattern is drawn in reverse. Next to be hooked are the grasses and the water. 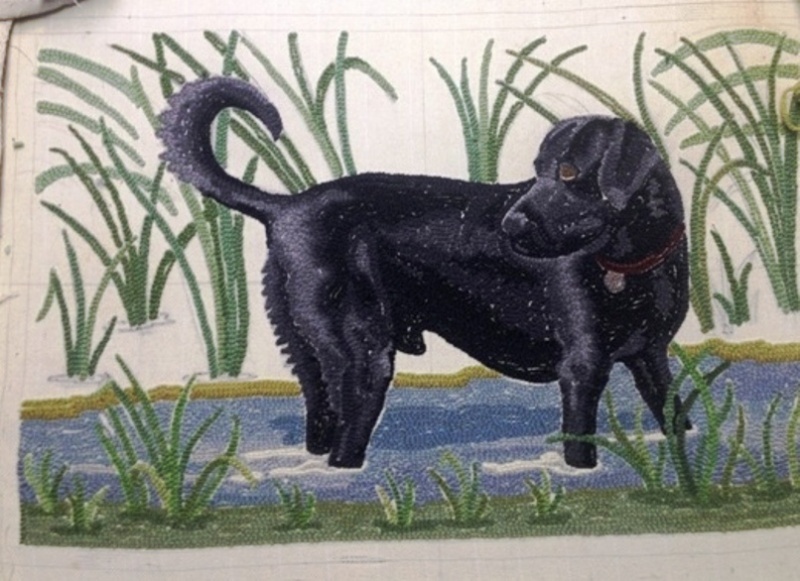 The border and background behind the grasses are the last part of the rug to get hooked. 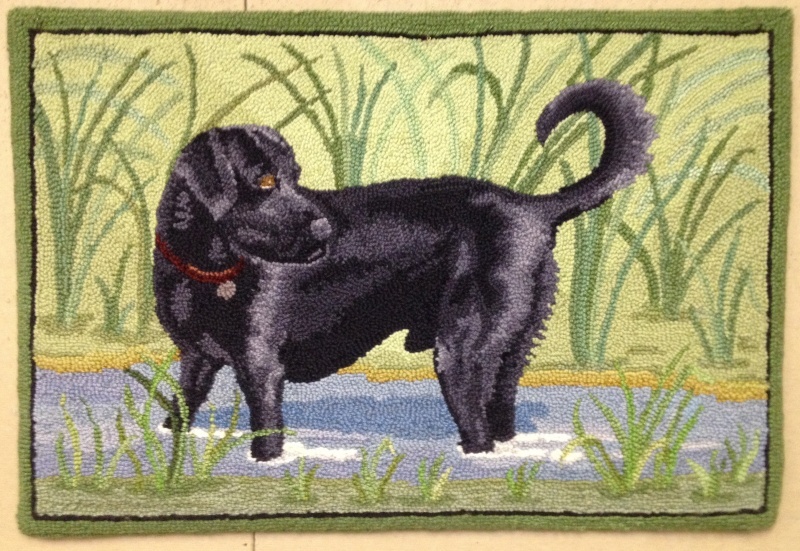 This method of punch rug hooking has been around for over 100 years. and innovative thoughts behind our rugs.